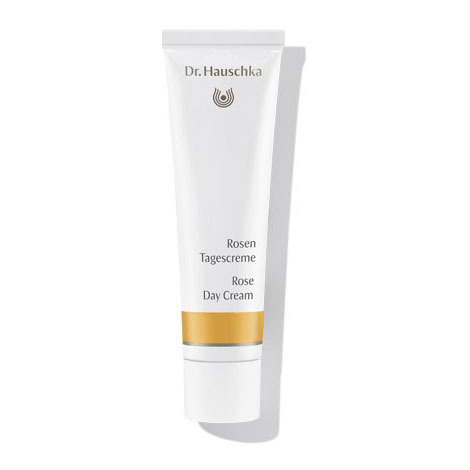 Throughout the winter months, I change from my regular use of Dr Hauschka's beautiful quince day cream to this truly luxuriant and protective cream, knowing that my mature skin will be totally safe from the harsh effects of the cold weather. I have followed this pattern for almost twenty years and the delight of using Dr Hauschka every day has never diminished - nor has the softness of my skin. As a self-confessed beauty junkie I've been in the deep end trying every moisturiser on the market, including the ridiculous ones that are worth more than your mortgage. Thankfully along my journey searching for that Holy Grail of Hope in Jar, I discovered the sublime Rose Day Cream. It's a beauty junkie's best friend and has saved me thousands in hours and dollars because it works to produce your best skin ever. Seriously it's beautiful and it works and it's natural, ethical and hype free. Another favourite, keeps my skin balanced and youthful. Used it for years with no problems. Have used this cream for 15 years I adore it. Nothing compares. A fabulous product ! I use this everyday with great results, especially for a sensitive skin. I have used this product for a number of years and would recommend it without hesitation particularly if you have a sensitive or mature skin. It goes on smoothly , feels light , not oily and is an ideal moisturiser under make-up. I’ve been using this for over a year now, I love it.... the smell, consistency, you don’t need to use much as it goes a long way. Less is more with this cream. I adore this cream. It is soothing and gentle and leaves my skin feeling completely hydrated and nourished. It also smells divinely of roses which is uplifting in itself. I would recommend this product very highly! Just love this soothing not greasy cream!!!! Rose Day Cream has beautiful rich protective texture, perfect for my super sensitive skin. I love this moisturiser. I got a sample size and am very close to buying the full size - literally the only thing stopping me is I'm a big fan of having SPF in my day cream. If I can re-jig my routine enough to get enough SPF coverage elsewhere, I'll definitely be rebuying this. Quite thick texture but sinks in nicely and I love the rose smell. Recommended for redder, dry/sensitive skins. Best product my skin feels really soft. I love the smell and texture of the cream and my face feels well cared for for the whole day. The rose day cream is one of my favourite products. In the winter months I get terrible redness, chaffing and sores like chilblains around my cheeks and temple area, this is the only product I've found that prevents that from happening. I feel it protects my skin the most out of the other products I use. I have used this day cream for a number of years and find it very soothing and calming, good to use under make-up, and an excellent moisturiser. Another must have for dry mature skin, needs to be in larger tube! Too thick and not easy to spread over the face. We recommend Hydrating Cream Mask as the ideal complementary product for skin prone to dryness. Its precious plant oils and waxes noticeably care for the skin, leaving it feeling so and relaxed.